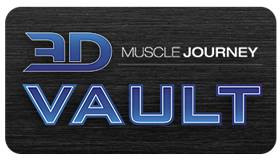 In this week’s episode, Andrea, Brad and Jeff sit down to talk about the initial stages of a bodybuilding career. Topics addressed, include: Issues with wanting to complete before having enough training experience, learning the “tools” while you aren’t in a deficit, letting go of “the number”, having realistic expectations, and the importance of patience. Along with discussing the various topics, a central theme runs through this episode in-regards to the benefits and experience which come from going through “the phases”. If you are just beginning your bodybuilding journey, or are a coach who works with those who are, today’s episode will be highly beneficial.